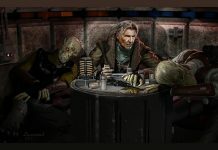 Lucasfilm Design Supervisor Christian Alzmann has shared some new concept art from The Force Awakens featuring Han Solo. 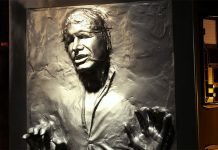 New classic Harrison Ford as Han Solo photos have been added to the Star Wars Authentics site. 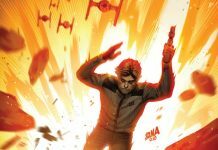 The book is available for pre-order right now from Sideshow Collectibles. 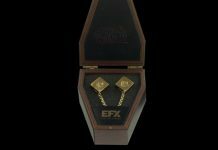 You can own Han Solo's dice from Star Wars: The Last Jedi, presented in a wood presentation/display box inspired by the Millennium Falcon cockpit. 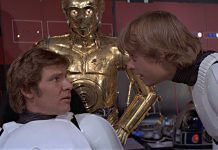 Dan Zehr examines the symbolism surrounding Han Solo’s fate in the carbon freeze chamber of Cloud City in a truly iconic moment from TESB. 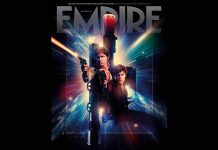 Additional information on this new November title. 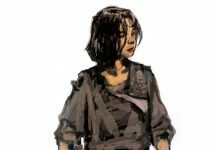 Take your knowledge of everyone's favorite scoundrel to a whole new level. 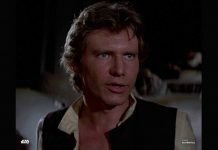 There is an age old question in the galaxy, who is the best pilot? Many have claimed the mantel, but are they just pretenders to the throne? Straight from the cockpit of the Millennium Falcon, the Star Wars Han Solo Prop Replica Dice are an iconic part of Star Wars history and a must for any collector. Order yours now from Zavvi. 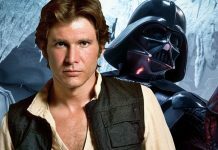 With Solo: A Star Wars Story just days away the internet is ablaze once again with talk of a young Han Solo in Revenge of the Sith. 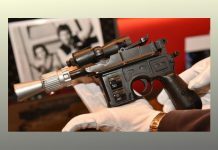 Han Solo's hero blaster from Star Wars: Return of the Jedi is going up for auction next month and could sell for over $500,000! 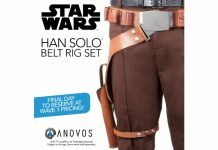 ANOVOS is proud to offer the Han Solo Belt Rig Set duplicated from The Empire Strikes Back & Return of the Jedi. The Imperial Office Belt & TIE Fighter Pilot Jumpsuit are both in-stock and available for purchase from ANOVOS now. Meet Joelle PLUS Po-Zu Han Solo sneakers now available in other sizes. 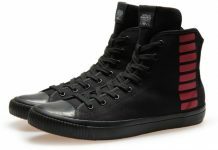 Po-Zu have announced new Han Solo inspired sneakers just in time for Solo: A Star Wars Story coming in May! He's cocky. He's sly. 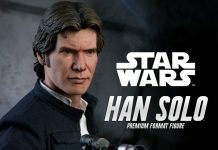 And he'd make an excellent addition to your collection -- which Han Solo, Chewbacca and/or Millennium Falcon collectible will you choose? 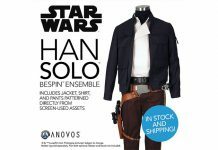 ANOVOS Goes ‘Solo’ – Bespin Ensembles & Accessories In Stock/Shipping Now! 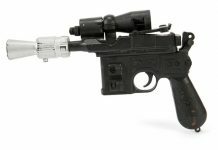 The Han Solo Bespin ensembles and accessories from ANOVOS are now in stock & ready for shipping -- just in time for the Solo teaser trailers! 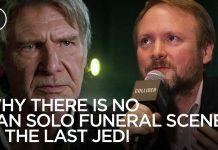 Rian Johnson explains why there's no funeral scene for Han Solo in The Last Jedi. 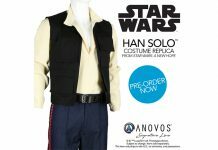 ANOVOS Han Solo Ensembles & Accessories In Stock And Shipping! 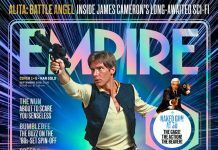 The Han Solo Bespin ensembles and accessories from ANOVOS are now in stock and ready for shipping.